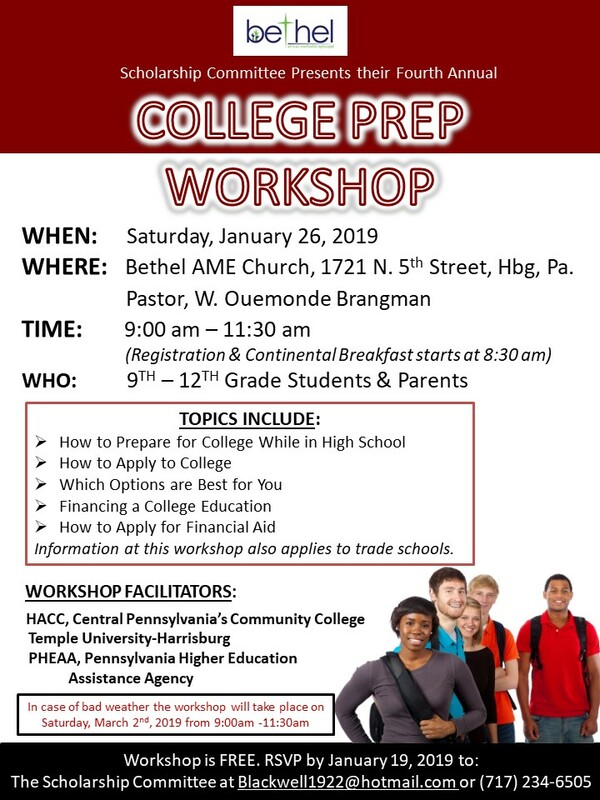 The College Prep Workshop is geared towards high school students in 9th-12th grade and parents. The workshop is lead by facilitators from local colleges & financial aid organizations. It will be held on Saturday, January 26th from 9am-11:30am. The workshop is free but we do require a RSVP. The deadline to RSVP is January 19th. If there are any questions please contact me at (717) 576-7531.